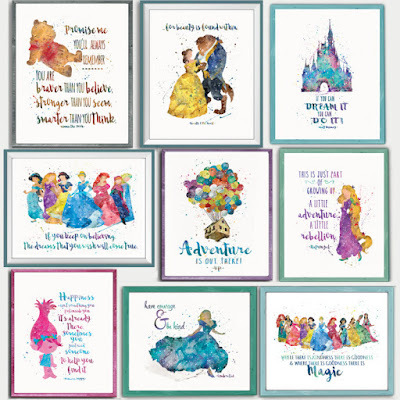 Head over to get one (or a few...) of these Enchanted 8x10 Quotes and Characters Prints for ONLY $3.33 (Retail $10)! Our character inspired designs are perfect for creating your own enchanted kingdom. Done in a fun impressionistic & splatter watercolor style. Please know they are intended to look perfectly imperfect, which adds to the uniqueness & charm. They are less "cartoony" and work for all ages.